Plot of District Court building admeasures 16,435.60 Sq. Mtrs. Earlier District court, Thane was housed in the Pe-shawe wada. In January 1900 Shri. J. I. Hitten was the District Judge. 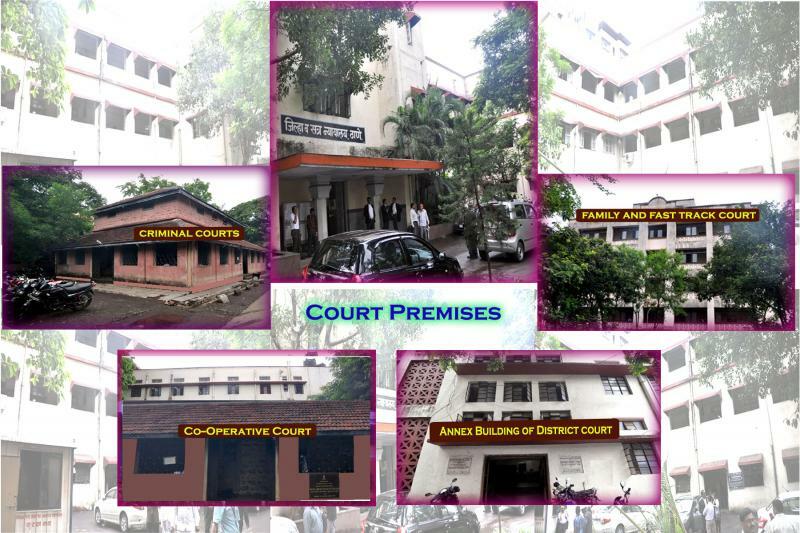 In the year 1968-69 the present building of District Court was constructed, Annex building in the year 2002 and the building of Family Court and Fast-Track court constructed on the same plot in the year 2009.
calling willingness of clerk in the office of District Legal Services Authority, Thane on contract basis. Calling willingness of Advocates for revamping of Panel of Mediators and for empanelment on the panel of Mediators. Thane - list of successful candidates for interview : Stenographer L.G. Thane - list of successful candidates in English & Local language Shorthand test : Stenographer L.G.